Utility Providers: Are You Ready to Implement a Customer Portal? Customer Portals provide significant benefits for utility providers. Not only do they vastly improve the customer experience and make business processes more efficient through automation, but they also give you valuable data that helps your utility understand its customers. A customer portal is a great way to communicate with your customers and provide accessible information at the click of the button. This includes features that will make your customer experience superior to others within the industry, such as notifications and alerts, ebilling and outage notifications. This solution, which moves customer support away from human contact and more towards self-service, is more important in 2018 than ever before. Research from Zendesk found 50 percent of customers think it’s important to solve product or service issues themselves, while a further study found that 70 percent expect a company’s website to include a self-service application. We live in an immediate world where consumers demand products, services and answers instantly, and the utility industry is no different. The implementation of a customer portal is a perfect solution. In previous years, the solution to implement new technology into your business was to build your own software. However, this model has changed and utility providers are now taking advantage of proven solutions that allow them to focus on their core business, save money and utilize the knowledge and expertise of software companies that understand the utility industry. The benefits of a customer portal are clear, but how do you know when your utility is ready for the implementation of a portal? So, When Should a Utility Invest in a Customer Portal? As with any business decision, before deciding to invest in buying customer portal software, it’s important that you first take the time to evaluate your goals and what you hope to achieve with the implementation. An effective customer portal saves your business time and money by automating processes, but the main objective for your company may be to improve the customer experience and provide additional value to your customers that will leave them satisfied with you as a service provider. You will be able to provide customers with easier access to information, proactive communication, more responsive support and a better way of interacting with your company. Technology has vastly disrupted the way in which businesses and customers interact with each other. Think Amazon versus the local bookstore. Utility providers have been comparatively slow in the adoption of new technologies due to a lack of competition. However, utility providers are now starting to understand that their customers expect the same level of customer service they would receive from customer-centric businesses such as Amazon, and that having a customer portal is crucial for achieving this goal. Utility providers willing to adopt customer portals are creating a disruption in the utilities service sector, showing customers that the service sector is willing to go above-and-beyond to meet their needs and improve the user experience. With the introduction of disruptive sectors such as alternative renewable energy companies, building customer trust and satisfaction is more important than ever. Another motivation for wanting to introduce a customer portal into your utility’s business processes is to reduce the time and cost it currently takes to communicate with your customers and provide issue resolution. Customer portals save customers significant time and effort, but they also do the same for your business. 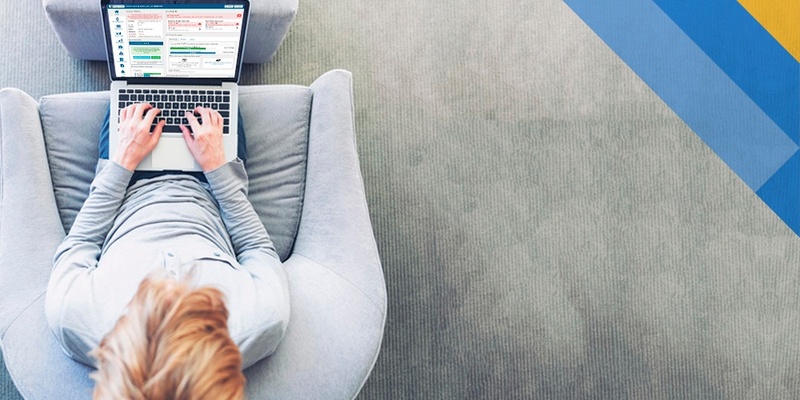 Offering a self-service platform means your customer support representatives (CSR’s) can focus their work on offering superior service to customers, and deal with more complex customer queries. If your utility provider is a medium or large organization, then it’s probably no longer possible for you to provide personalized human-to-human conversations for each query on a timely basis with your limited number of staff. Hiring more CSR’s is costly as you consider salaries, the personal needs of individuals, time off, sick leave and annual increases. Without sufficient staff, your customer service reps will be inundated with calls and customers will be waiting on hold for long periods at a time. It is far easier for the customer to access their customer portal than it is to pick up a phone and deal with long menu lists, long on-hold wait times, and automated phone systems. If this is happening to your utility, you’re ready for a customer portal offering a variety of self-service tools. If you are finding your customer support service inefficient, it probably means your utility is looking for an alternative method. A customer portal will help you to save money on manual processes and reduce inaccuracies due to CSR keying errors. Better allocation of your current resources will result in more satisfied and efficient staff. Maximizing your resources to save employee time and freeing up CSRs to work on more complex customer issues not only means your business as a whole will work more efficiently, it also means you’ll be delivering superior customer service. 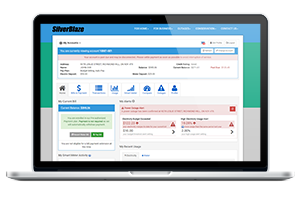 Want to learn more about the SilverBlaze Customer Portal and find out if you’re ready for implementation? Contact SilverBlaze today.